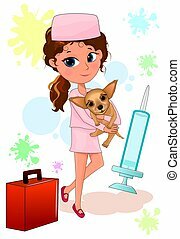 Cute nurse holding a syringe. 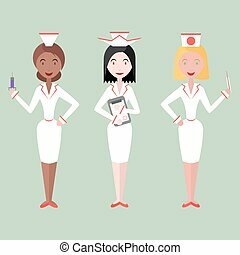 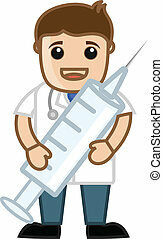 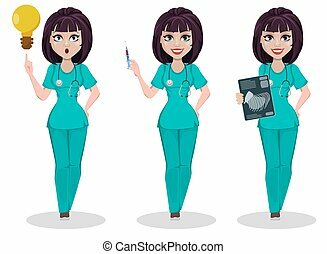 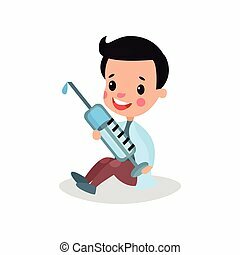 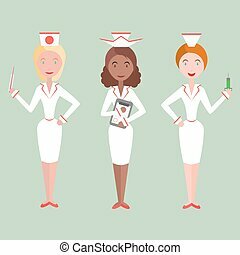 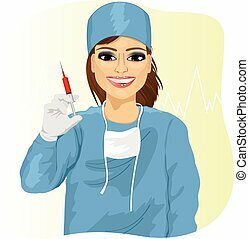 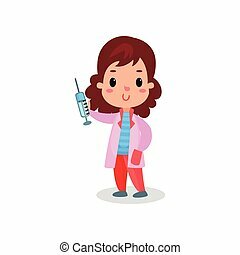 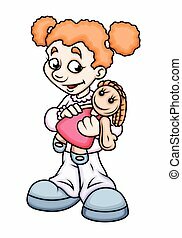 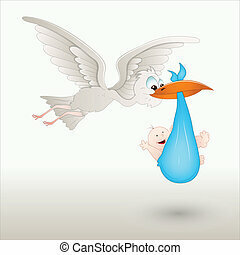 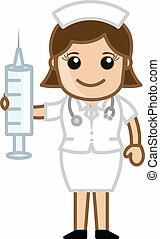 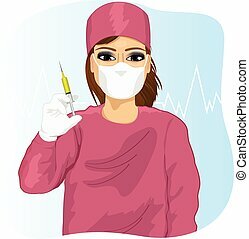 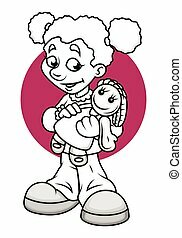 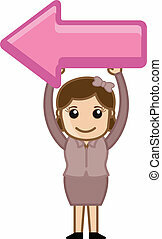 Nurse having syringe - medical cartoon vector character. 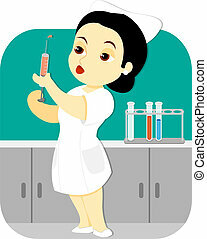 A female nurse holding an injection syringe stands in the laboratory of a clinic or hospital.